Swarovski crystals connected to each other to create a beautiful ball of sparkle. The colors used here are a pair in Golden Shadow and a pair in Crystal AB . 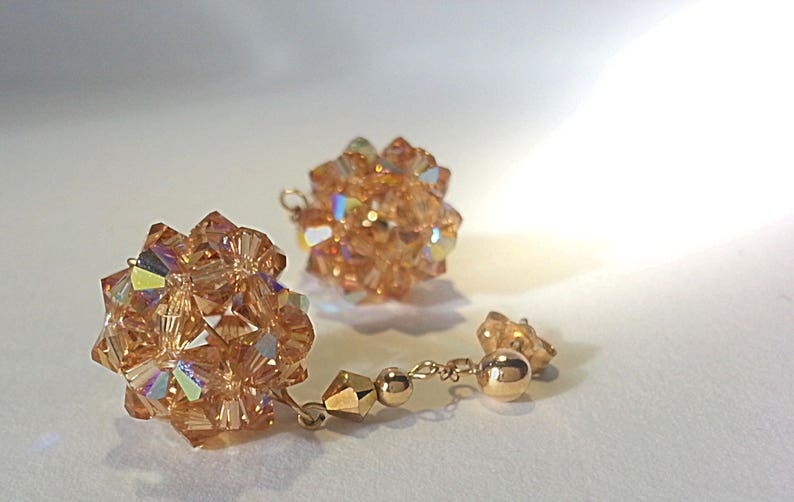 Also available in any other Swarovski crystal bicone shade that you like !